The new world champion returns to the competition in three of the last races of the European calendar, all in Italian territory: Tre Valli Varesine (9/10), Milano-Torino (10/10) and Il Lombardía (13/10), fifth and last Monument of the cycling season. 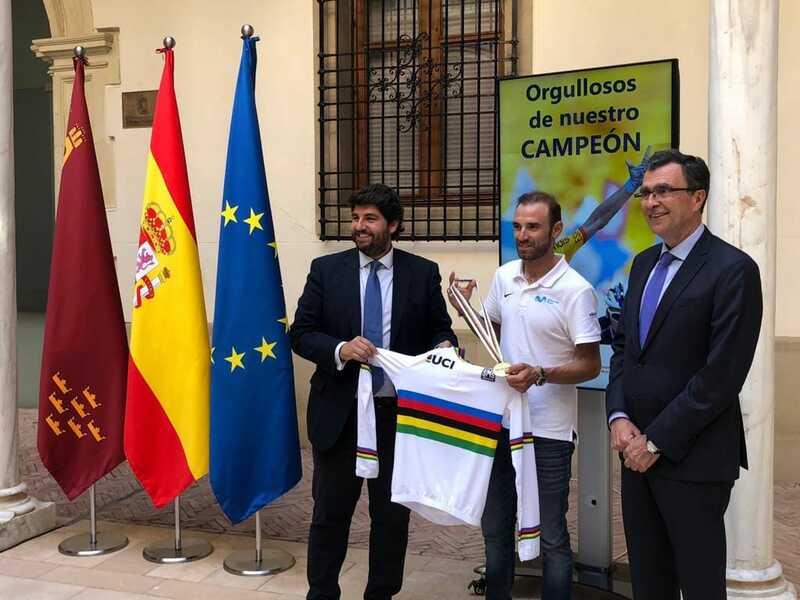 El Bala, after the awaited reception next Sunday at the Movistar Bicycle Festival in Madrid, will travel to Italy to release in competition a rainbow kit that he will wear on Sunday at the Paseo de la Castellana. Three demanding races, starting with the Tre Valli Varesine in the same region where the 2018 World Championship was held. No Spanish cyclist has ever achieved a podium in this race. Superga will decide just one day later the almost century-old Milano-Torino, a test where the riders will ascend twice in the final kilometers an already traditional peak. The 241 km of Il Lombardía will close on Saturday this block of competitions for Alejandro Valverde, with the Muro di Sormano as a key point of a competition that this year takes place between Bergamo and Como, with Civiglio also in the decisive part. The Murcian cyclist has two second places in this race (2013 and 2014).